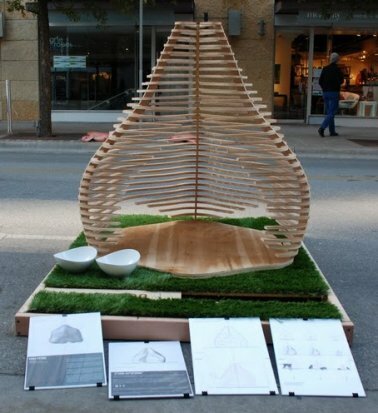 When it comes to dog house design, the Austin Barkitecture competition attracts lots of talent and it's all for a great cause. Barkitecture 2012 will be held this November, and it has already raised $20,000 in sponsor commitments to local rescue agencies. 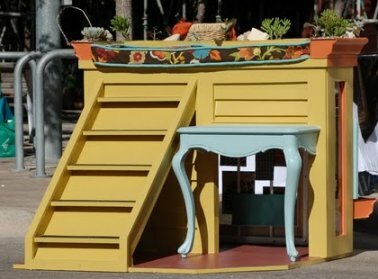 The dog house designs are something to behold. 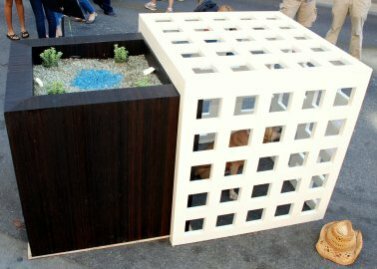 Here are 5 of my favorites from Barkitecture 2010 and 2011. It's raised to prevent flooding, it offers shade and ventilation, and I can just see the solar cells on the roof. Florals give such a nice touch and they're no effort for a dog to water. Lovely form, well-ventilated, 360° panorama, and a curvy form for curling up. Now you have to admit that there's something very appealing about a home you would chose for yourself... well, if it were a bit larger. From the windows to the outdoor lighting to the tennis balls in the planter... this one is really precious. A dog needs privacy sometimes and it's here, but to much privacy and he won't know what he's barking at. Airy with a cute roof-top garden. I presume this dog house has a gated entry! 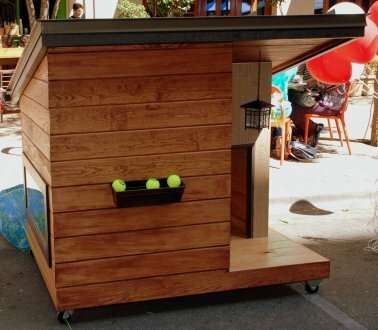 Why not try your own eye for dog house design! If you can design it, but can't build it, you can probably find a builder or handy-person to help you out. 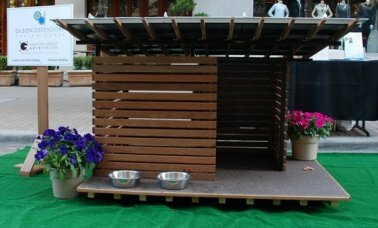 For more details on the Barkitecture 2012 competition, visit the site.